A man in his 50s has been jailed for eight years for the “revolting” sexual abuse of a teenage girl. Stuart Symonds, 57, had denied any wrongdoing, accusing his young victim of “fantasy” or invention. But he was convicted by a jury of 15 sexual offences against her on Monday after a trial at Hull Crown Court. Symonds began sobbing in relief in the dock when he was found not guilty of the first three charges – two rapes and a sexual assault. But he quickly fell silent when the foreman of the jury replied “guilty” to the 15 remaining charges he faced. These were ten offences of sexual activity with a child, three of causing or inciting a child to engage in sexual activity, engaging in sexual activity in the presence of a child, and making indecent photographs of a child. 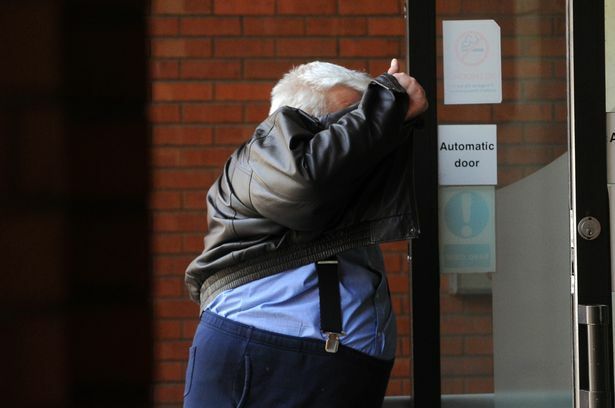 Sentencing Symonds, of Kirkgate, Pocklington, Judge Paul Watson QC said he took advantage of the victim to “sexually abuse her in frankly, a disgusting manner”. In one incident, Symonds had given the girl a “love bite”. After detailing his crimes, the judge told Symonds: “You did this for your own gratification and to satisfy your own sexual desires, without regard to the welfare of that young girl.